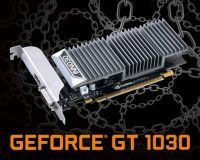 XFX’s GeForce 7950 GT. Too Cool. Totally Hot. Ontario, Calif., September 6, 2006 – Like Mom always said, it’s the quiet ones you’ve got to watch out for, and XFX’s brand new GeForce® 7950 GT is a textbook example. Utilizing cutting-edge cooling technology, your system stays cool while keeping your gaming supercharged, making it the ultimate stealth weapon. What does all of this mean for your gaming experience? Simply put: this is definitely not the setup that plays nice with others. That’s because the GeForce® 7950 GT thinks that it’s its own army. Your opponents are sure to agree. So what’s it made of? For gamers, there’s just the usual stunning cinematic realism, thanks to DirectX 9.0 and Shader Model 3.0 support. SLI-ready, this card also enables gamers to run two graphics cards at the same time, for twice the performance capabilities. Then there’s the True High Dynamic-Range (HDR) Rendering Support, which improves lighting effects, shading, filtering, texturing and blending for truly life-like graphics. And then there’s the UltraShadow II technology that brings the scenes to realistic life with multiple light sources and objects. Oh, and finally, there’s that whole high-end gaming experience, without the high-end gaming price tag. For graphic designers and engineers, the GeForce® 7950 GT delivers high frame rates for applications that feature large or complex graphics. And, it’s fully compatible with such applications as AutoCAD and Bryce. This HDTV-ready card provides world-class TV-out functionality up to 1080i resolution. It also allows play back of HD DVD and features PureVideo HD technology that accelerates video decoding to output for clean, clear video playback. Dual DVI enables it to support two 2560×1600 resolution displays. Microsoft® Windows Vista™ compatible, users will experience an even more spectacular 3-D experience when using this card. An essential component for an HDCP setup, the GeForce® 7950 GT features a core clock of 550MHZ, with PCI Express® graphics bus technology. It has a 256-bit memory interface and 44.8 GB/sec. bandwidth. Just remember, this cool little customer is going to be selling like hotcakes. Get in line now.